Anna joined BCG in 2015, bringing with her extensive experience in customer service, communications, facilitation and administration. She assists the team with the complex administrative duties associated with Annuity Placements and Pension Risk Transfer strategies working alongside with BCG's enrolled actuary. She acts as the liaison between the plan sponsor and BCGs operations team making sure that the lines of communication remain open. 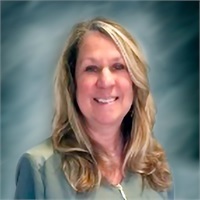 Anna has over 25 years of corporate business experience, including detailed project management in sales and marketing, information systems, finance, accounting and human resources. In her last position, she worked directly for the SVP of Sales and Marketing at ArcelorMittal/USA, located in Chicago, IL. Anna attended South Suburban College in South Holland, IL with an emphasis in Business Communications.